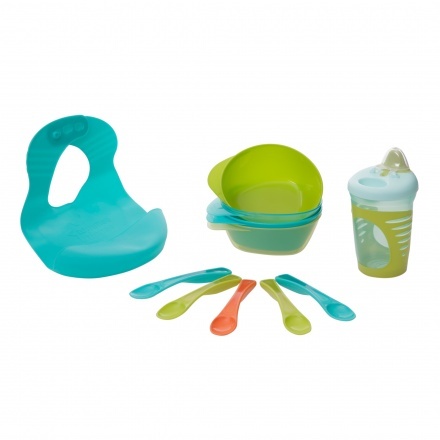 Your little boy is sure to have a lovely feeding experience with this appealing kit. It contains an easy drink beaker, scoop feeding bowls and a roll and go bib with a crumb catcher. 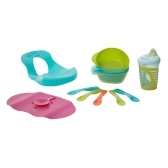 Featuring a durable make, this kit can be sterilized easily and each piece is easy to use. 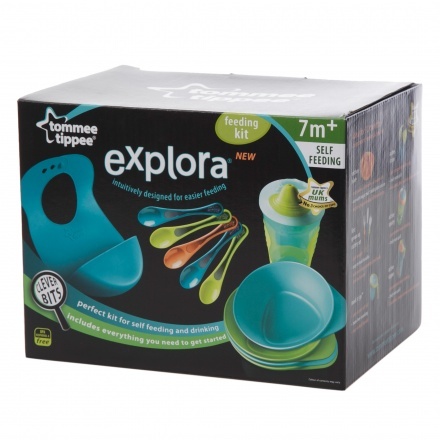 The kit comes with a magic mat that holds firmly to the floor with a sucking action to avoid tipping.